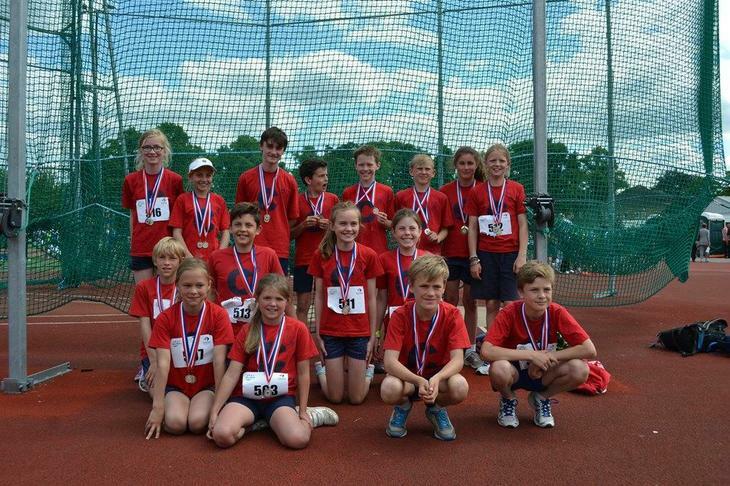 On Wednesday 3 June, 16 pupils took part in the Borough Sports. From Yr 4 - Gemma W, Johanna W, Edward W and Tom S.
From Yr 5 - Imogen H, Amy G, Jacob A and Tom R-P.
From Yr 6 - Louisa J, Hermine N, Issy D, Alex D, Charlie S, Kate M, Sam H and Thomas H.
Yr 6 started with a 600m long distance race. We had some fantastic runs including 1st and 2nd place. Alex D had the quickest time overall in Yr 6. Meanwhile the Yrs 4 and 5 were doing standing long jump and vortex. Tom R-P had the furthest throw overall out of Yrs 4 and 5. Then we had Yr 6 doing their standing long jump and vortex, whilst the Yrs 4 and 5 did their 400m long distance. Amy G won the quickest time overall in Yrs 4 and 5. Again we had 1st and 2nd places! During lunchtime, team 1000 (disabilities) were given their awards. Afterwards we all went to do our sprints. Yr 6 did 75m and Yrs 4 and 5 did 50m. Louisa J won the fastest sprint overall in Yr 6. We also had more 1st and 2nd places! Straight after that, we did our relay races. Unfortunately, we had a bad pass over at the beginning, which made us last. However, we had an amazing catch up - so we managed to get 3rd place. At the end of the day, we had our presentations. Amazingly, we came 2nd!!! Annoyingly, St James’ School came 1st. Louisa J was awarded best overall athlete!